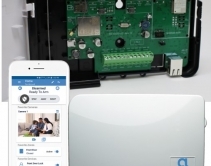 By Julie Jacobson · April 5, 2019 • Alula claims its new BAT-Connect is first 'triple-path' alarm communicator with Wi-Fi, Ethernet and 4G/LTE cellular (CAT M1 for 5G transition), plus unified dashboard for security, surveillance and Z-Wave home automation. 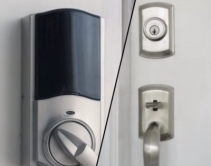 By Ryan Grossman · April 2, 2019 • Kwikset Convert is a Z-Wave connected smart lock that replaces an interior deadbolt but uses the existing exterior lock hardware. 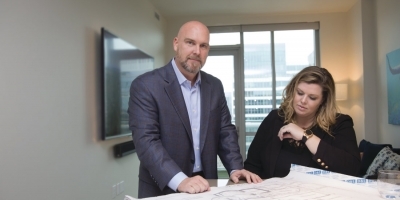 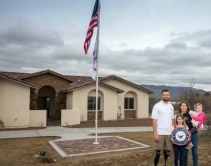 By CE Pro Editors · March 28, 2019 • The Gary Sinise Foundation worked with local integration firm JL Automation to create the perfect smart home for disabled war veteran Caleb Brewer and his family. 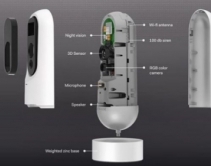 By Steve Karantzoulidis · March 8, 2019 • Is it possible Apple is looking to use Lighthouse AI's visual authentication, monitoring and depth-sensing patents to create its own surveillance camera? 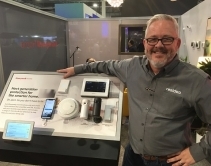 By Jason Knott · January 11, 2019 • Honeywell Home ecosystem from Resideo will roll out over the next 2 years with Z-Wave/Wi-Fi/cellular-communicating touchpanels, motion sensors, video capture, flood detection, and combination smoke/CO detector. 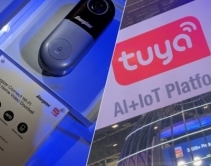 By Julie Jacobson · January 10, 2019 • Chinese home-automation giant Tuya powers more than 100 million smart-home products and is taking the U.S. IoT market by storm, starting at CES 2019. 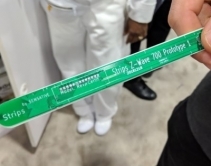 By Julie Jacobson · January 9, 2019 • At CES 2019, Sensative shows flat “Strips” sensor with new 700 Series chipset, boasting 10-year battery life; Silicon Labs shows Z-Wave on Wireless Gecko. 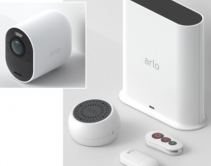 By Julie Jacobson · January 8, 2019 • Arlo chases Nest Secure, Ring Alarm, Samsung SmartThings, Wink, Amazon and other IoT giants with new security system and home automation 'SmartHub' with proprietary RF technology. 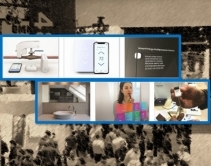 Launches at CES 2019. 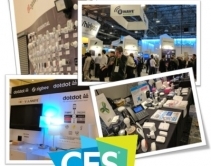 Where are all the Home Automation Standards at CES 2019? 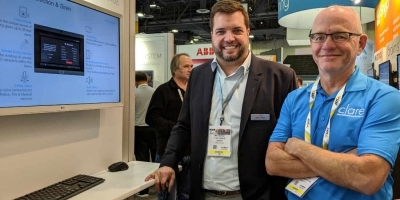 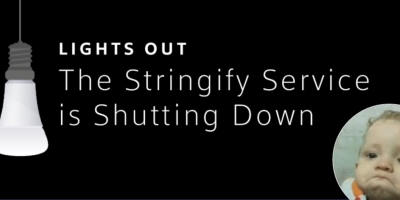 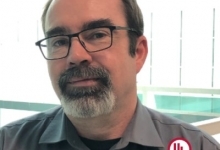 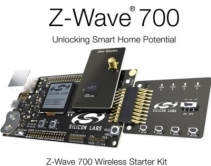 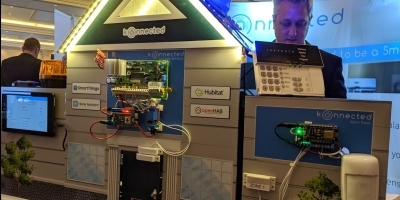 By Julie Jacobson · January 6, 2019 • The IoT and home-automation standards have been pretty quiet around CES 2019, but Z-Wave, ZigBee, OCF (Iotivity), Thread, DECT ULE and others will be there -- some more conspicuous than others. 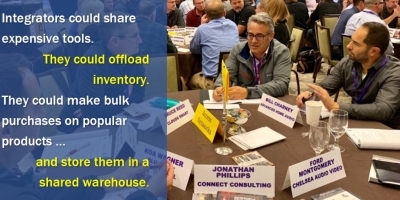 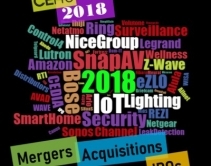 By Julie Jacobson · December 31, 2018 • 2018 was big for mergers, acquisitions, IPOs, spinoffs, and other transactions in home electronics, including IoT, smart home, lighting, security, audio/video, wellness and the installer channel. 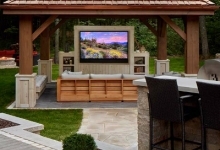 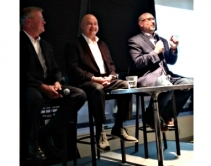 By Lisa Montgomery · November 28, 2018 • Beyond MicroLED TVs and stunning sound systems, CEDIA Expo 2018 showcased other smart-home trends including robotic patio umbrellas, multipurpose IoT sensors, and smart leak detection systems. 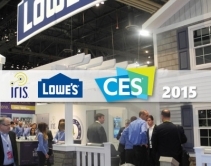 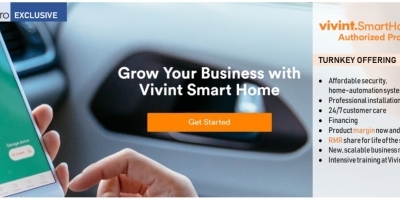 By Jason Knott · November 26, 2018 • Lowe’s to exit ‘under-performing, non-core’ home automation business by finding a buyer for its Iris Smart Home business. 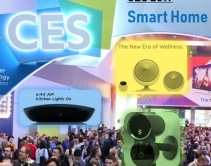 By Andrew Nichols · November 9, 2018 • CES 2019 Smart Home Finds: A new Rachio competitor, an AI-driven camera "police have been asking for," IAQ and lighting solutions for wellness, and a self-learning home automation systems that hit every buzzword in the IoT playbook.